I'm grateful for the artists who volunteered to participate in my research. I encourage interested teachers, learners, and all who care, to visit the virtual spaces in which these artists have chosen to share their experiences. I see presentation of their art/work as representations of self: taking pride in what they do …making art. Among the first web-links that I found, Laura's blog informs viewers how she learned about being red-green colorblind at the age of 8 during an eye exam. Reflecting on early memories about colorblindness she responded, "I didn't see it to be a problem at the time…I thought the grown-ups were just being a bit silly." Her blog chapters "On Being a Colorblind Artist" explain how she endured bullying and challenges in school, trying to distinguish and identify colors while learning Spanish and Geometry. She explained how art inspired her to find books about drawing, try her hand at painting, and take courses to learn more. However, she explained how art instruction and instructors didn't always help and color mixing/theory posed challenges. She recalled a discouraging time when one instructor said, "Colorblind, eh? Women aren't colorblind…If you're in this course, you've got to do the exercises, plain and simple. It's useless without them." Despite not finding a colorblind art instructor who may have helped, Laura continued with her quest to understand and use color through research and experimentation to develop her unique system for using colors. Her art of birds and nature reflect brilliant colors, technical accuracy, and years of dedication to learning how and with what: "I've learned that I do have limitations, and that instead of lamenting them I should just get better at what I CAN do (composition, value, and form) while still striving to improve my understanding of color." So how does art fit in Laura's life? She replied, "It IS my life!" and [making art] "it's something I'm supposed to do." And she "enjoy[s] helping others learn." When asked about positive contributions towards her work as an artist, Laura endearingly acknowledged the support of her best friend, Chad Young. 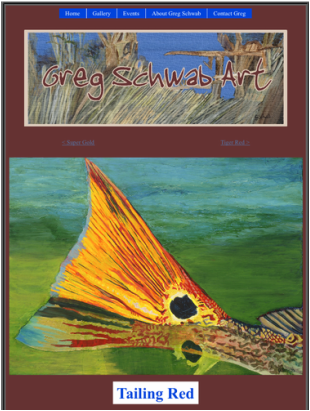 Greg's website shows what he cherishes in life: God, nature, family, and art. In his handwritten responses he explained that he was "young…before memory…[at] home and then school… drawing" as early memories of making art and being colorblind. And he remembered his father giving advice about "the correct colors on painting." As a grown up, Greg practices law "to pay the bills" and admits to lifelong learning for making art: "[I] always have - just started on my own as young child…" Why does he make art? "Because I can't 'not.' It just comes out - almost [a] compulsion." His website gallery houses images of his acrylic paintings that speak of colors beyond his and others perceptions of what's expected: "Once I got past worrying what people thought of my art, I am free to just paint what I want/like." How has someone contributed positively to Greg as an artist? He credited "colorful" artists, such as Rhea Gary and George Rodrique, as positive influences and he is inspired by "God-nature" to create. He wrote about his motivation to create as "something innate… sort of like that mystery that forces wild fowl to fly the same migratory patterns every year." Additional comments: "I feel honestly that coming from a small island, Jersey in the Channel islands, there is not massive opportunities for artists. I have moved to Berlin, Germany where I hope my comic career can evolve." Jason's art speaks to the kid in me, the one who still loves to draw comic characters…and I see more than just kids' stuff in Jason's art/work. As a grown up, Jason works as a "private cleaner" and fits art into his life "in [his] free time." He wrote about early memories of colorblindness "since always…diagnosed around 8…[with his] mum and the optician…school eye test." About learning to make art, he recalled "struggling with shades of red/green…and it became more apparent when painting… I shaded a portrait with green. Now I mix my own paints with only primary colors." How did he learn to make art? "I have been creative and supported as a kid… It's my passion." 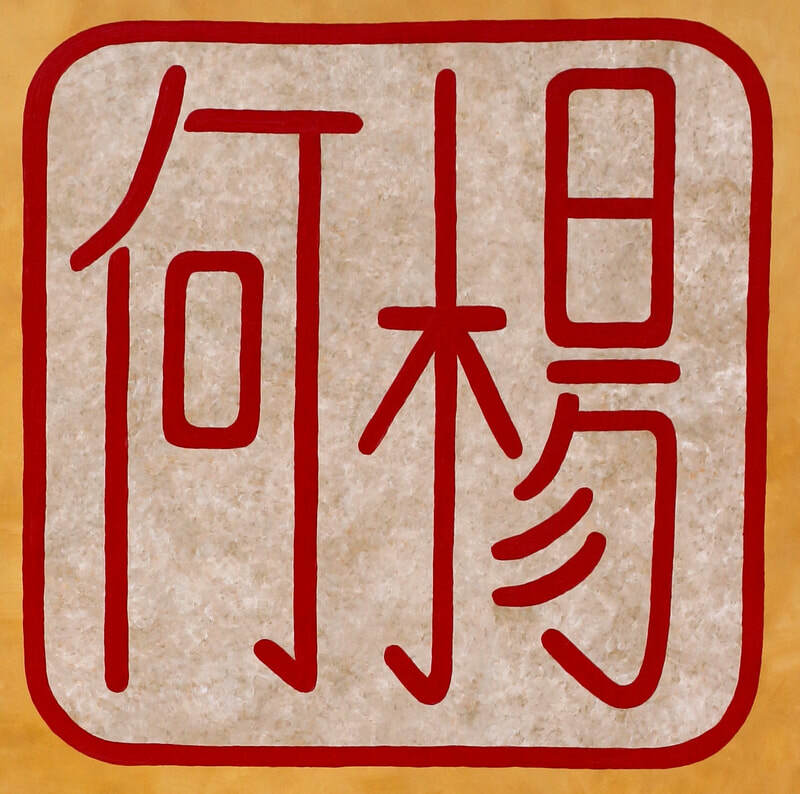 In learning and meeting challenges, he wrote, "People being honest helps… Working in cartoon/comic can be forgiving." my work off… Now I use simply the primary colours and two tones to lighten or darken the colours I need… When using digital paints I hold my mouse over the swatch colour until the prompt confirms I am using the correct colour." How has someone contributed positively to Jason's work as an artist? He credits his wife as "always supportive and helps when [Jason] can't see a color." "A colorblind artist: his disability has not stopped him from making art" encapsulates Caesar's commitment to learning and making with his sense of color. His website features work as Contemporary Modern Fine Art, portraits for Disneyland, and a curriculum vitae that reflects years of education and exhibition work as an artist. Caesar learned to make art by investing "many years of study to it." He wrote, "I do it [make art] because it makes me feel fulfilled and that I am doing what I was born to do." And he shares art with others by volunteering knowledge. Early memories of making art and colorblindness date back to when Caesar was "6... in elementary school… coloring something… I asked my classmates what the colors were to help me finish coloring the picture and they helped me without making me feel ashamed of my color blindness. They were willing to volunteer to be my eyes." As a working artist, Caesar exhibits his work and commented on a recent piece for which he used "black acrylic paint…magnets, steel wool, and pins…questioning the nature of painting." His strategies include use of materials that are "tactile...high saturated in color." He buys color-based materials with labels: "it is rare for me to mix colors." How does Caesar view (look at, think about) his art? "My art is very theoretical... colors are conceptual and I am imagining what people say a color is that I do not see. So in a sense I am questioning what it is based on the perceptions of other people." How has someone contributed positively to Caesar's work as an artist? He credits the support he gets with his job at Disneyland: "…the people I work with are positive people and they have helped me so much in understanding and dealing with my colorblindness it's a miracle."